Spendor D7 review | What Hi-Fi? 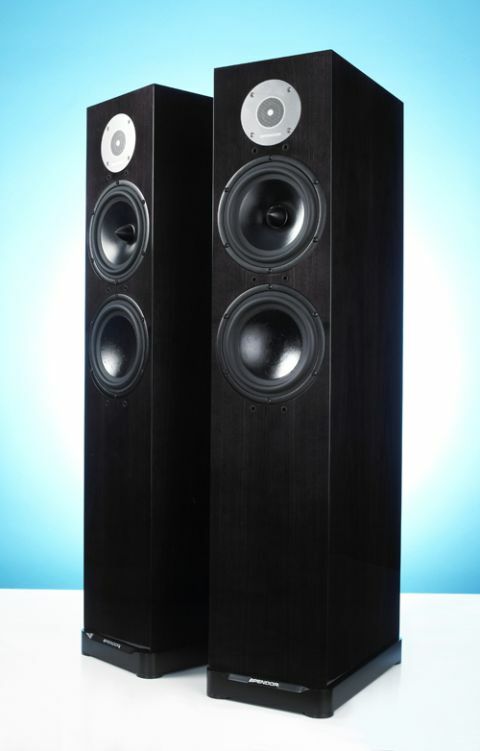 Spendor is particularly proud of theses Spendor D7 floorstanders, and rightly so. Spendor has been on an enviable run in recent years, producing a steady stream of class-leading speakers such as the A9, A6 and even the updated version of the old-enough-to-vote SP2. The D7, arguably, shades them all. These single-wired floorstanders aren’t particularly big. They measure 95cm in height and just over 20cm in width, so you can certainly buy bigger for the money. Yet, properly set up, these speakers deliver a full-blooded sound that’s a match for anything we’ve heard at this price level. It comes as no surprise to us that Spendor has produced a well-balanced pair of speakers – the company has been doing that for years – the unusual thing here is just how dynamic and punchy these towers are. Like a Dog Chasing Cars from The Dark Knight soundtrack is a piece we use often. Its combination of complex production, massively deep bass and wide dynamic range are a difficult challenge for any speaker, but the Spendor D7s take it all in stride – and once we push volume levels northwards these floorstanders surprise us with their solid punch and striking dynamic reach. They really do rival bigger, far pricier alternatives in these respects. The level of resolution on offer is pleasing too. These towers give the impression of leaving no stone unturned when it comes to defining subtle detail. Low-level instrumental strands are rendered with impressive precision and remain easily heard even when the piece of music gets demanding. Tonally, meanwhile, the Spendor D7 speakers just edge towards the leaner, brighter side of neutral, but don’t go far enough down that path to cause complaint; any sensible system matching is likely to result in a balanced sound. This character helps to give them a surprising amount of agility and the speed to respond to the slightest change in volume level or musical intensity. Switch to Leonard Cohen’s wonderfully understated Old Ideas and these floorstanders continue to shine. This is a fabulous recording and the Spendors highlight that fact. Their integration is excellent, right from the sparkling treble downwards, and this helps it deliver vocals with intimacy and, when required, lots of energy. There’s plenty of body to the sound too, and a natural sense of warm when the recording demands. When it comes to rhythms the D7s have a surefooted yet measured approach. With music such as Prince’s Sign of the Times they don’t share the enthusiasm of Naim’s S400 or even the free-flowing fluidity of the pricier ProAc D40/R speakers, but equally, it communicates the momentum and changes of pace well. Orff’s Carmina Burana shows off the D7’s excellent stereo imaging. These speakers deliver a wide, open sound stage populated by well-focussed images. And while taking care with positioning helps to maximise the effect, these speakers aren’t particularly fussy about placement. Part of the credit has to go to the latest version of Spendor’s linear flow port. This is positioned at the rear of the cabinet, just above the plinth. It’s heavily profiled and seems to work superbly; there’s loads of deep, controlled bass, minimal port noise and the position to the rear wall isn’t particularly critical. We got good results from around 25cm from the room boundary outwards. Spendor has put a lot of work into the drive units too. That distinctive tweeter features an unusual grille that is claimed to even-out the unit’s output over a wide frequency range. It certainly seems to do the job. Both the larger drive units in this 2½-way floorstander are 18cm in size. The mid/bass unit uses a new type of polymer cone material called EP77, chosen to offer improved clarity and produce lower colorations than Spendor’s previous offerings. The lower driver only helps out at bass frequencies and is equipped with a bonded Kevlar composite cone that’s designed for rigidity. Both drivers use cast magnesium alloy chassis and motor units optimised to deliver wide dynamics, thanks to well-managed thermal dissipation. Spendor has tried to make the D7s easy to drive, too. To that end sensitivity is 90dB/W/m and nominal impedance is rated at 8 ohms. We got good results with Roksan’s Caspian M2 integrated (£1695), but it took the likes of our reference Bryston BP26/4B SST2 pre/power amp combination (around £9k) to really show what these speakers can do. As expected from a product at this price level the D7’s build quality is terrific. Our sample looked lovely in a premium finish imaginatively called Spendor Dark. The other premium option is Spendor White; either will add £500 to the price we’ve quoted. The standard finishes include all the usual suspects from cherry, walnut and light oak to black ash. The enclosure feels rock-solid and has some of the crispest edges we’ve come across in a conventional wood-based speaker cabinet. The solidity is down to extensive bracing and careful damping. We’ve become used to Spendor speakers being carefully developed, but the Spendor D7s take that attention to detail to another level. Spendor has a rich history of making terrific speakers. You can count the D7s among them.